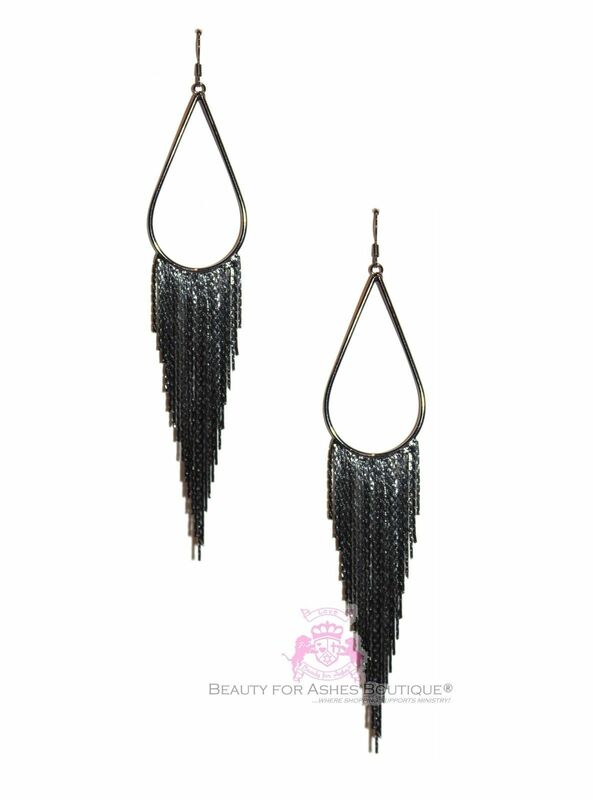 Absolutely Gorgeous fringed hematite-tone chandelier drop earrings. Fish hook style earrings measure 6" long and are lightweight. These earrings look fantastic on and go with anything! Also available in goldtone and hematite in a separate listing.